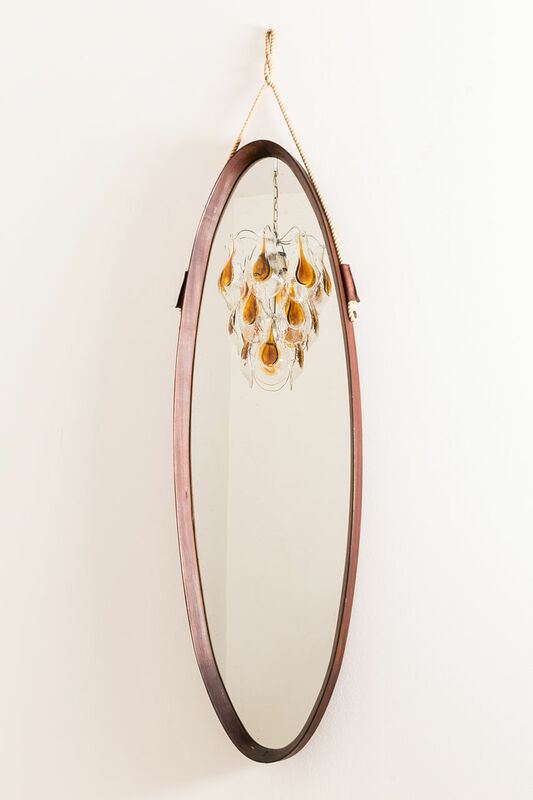 Mid-Century oval wall mirror designed in the 1950s and originates from Italy. 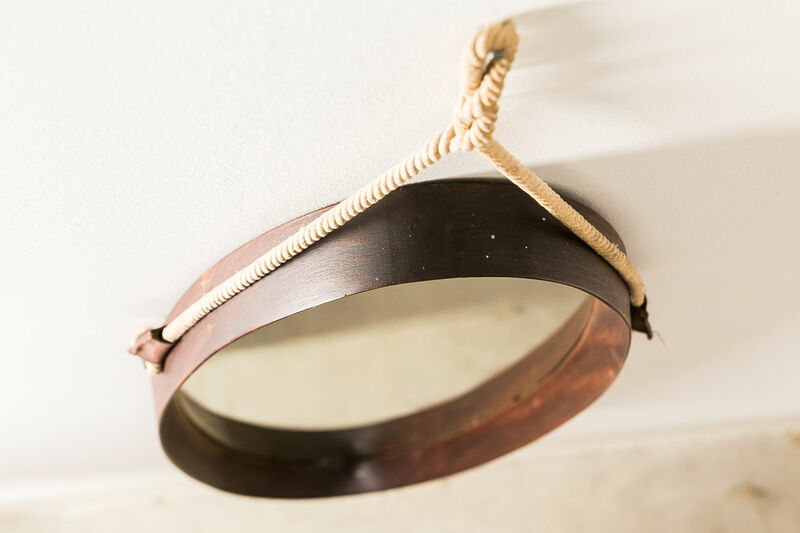 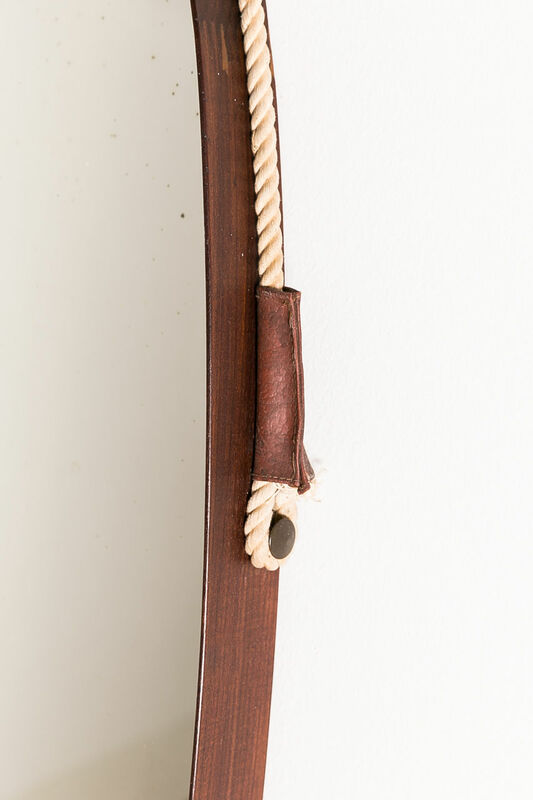 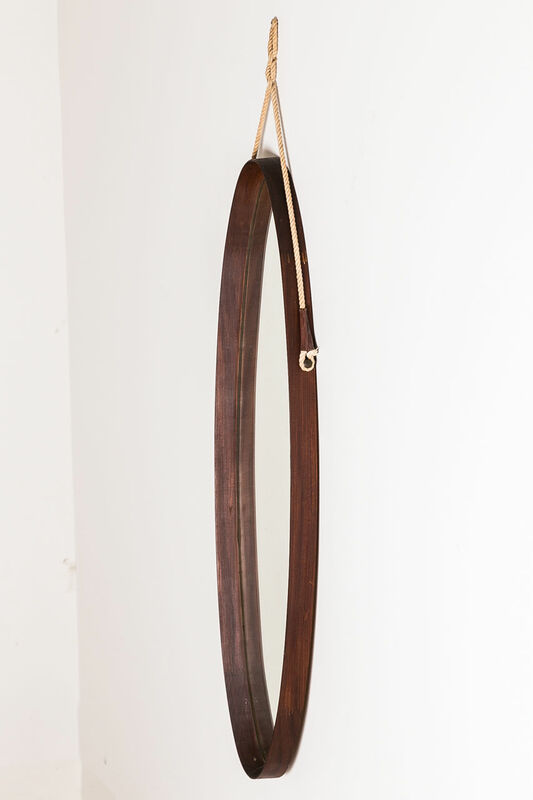 The frame is made from teak and it features a visible rope for hanging. 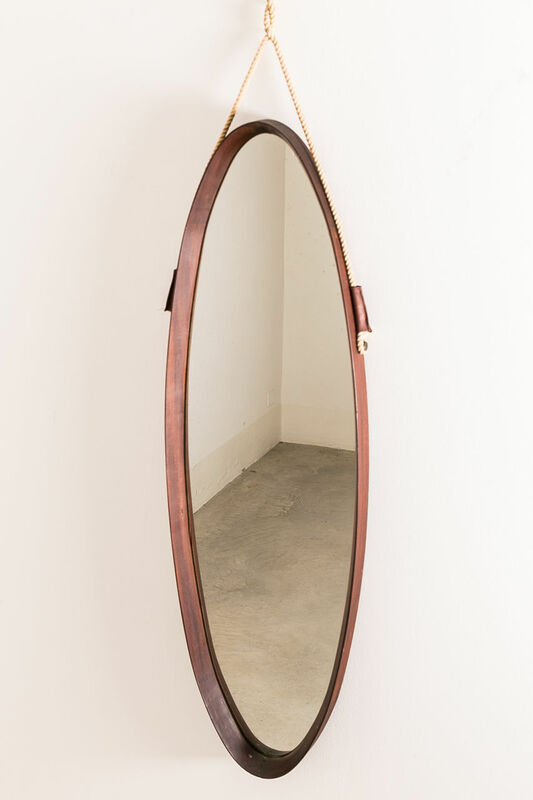 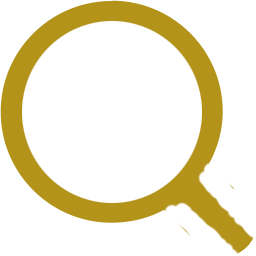 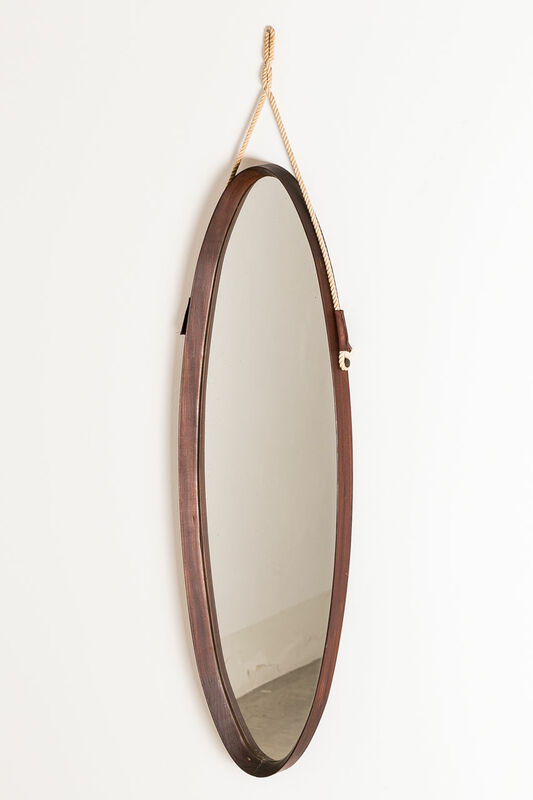 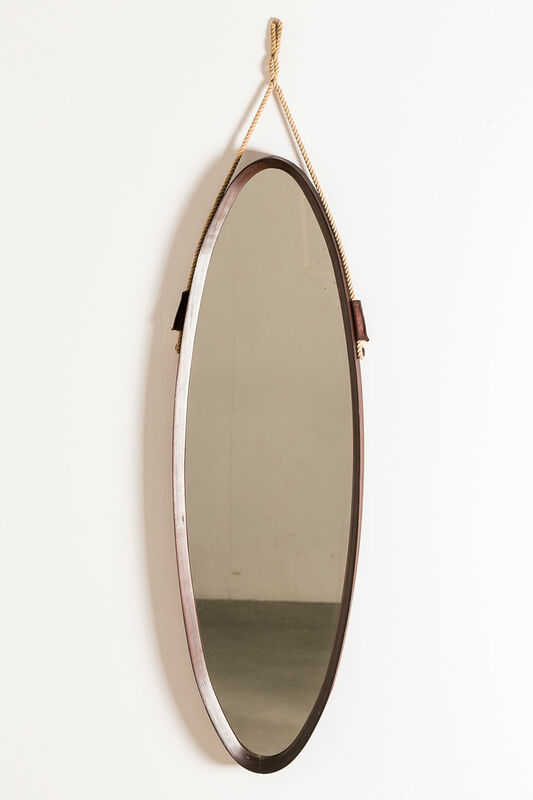 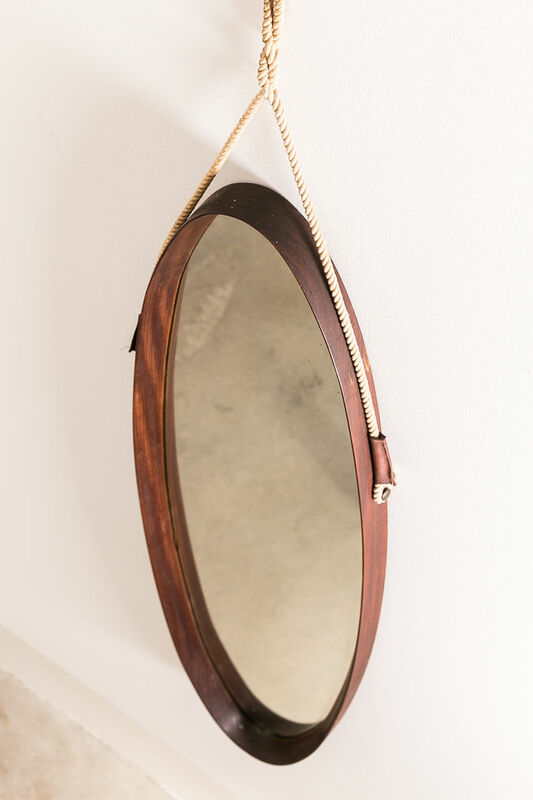 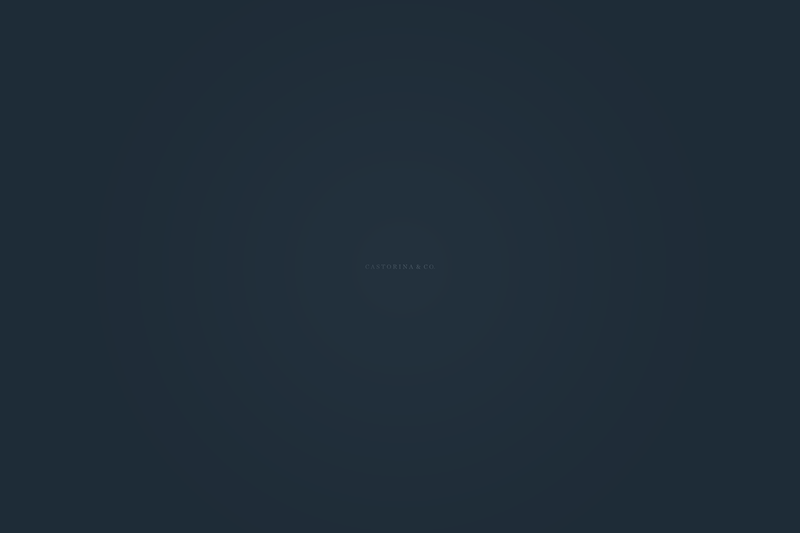 | Castorina & Co.
Mid-Century oval wall mirror designed in the 1950's and originates from Italy. 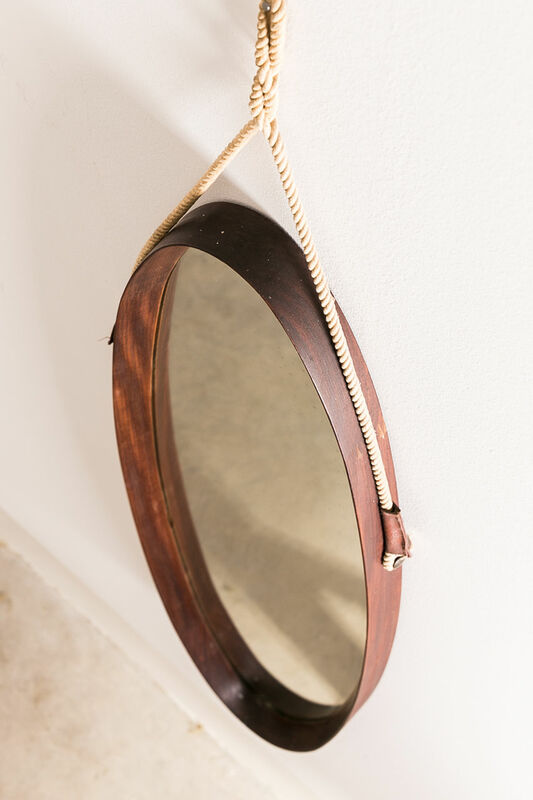 The frame is made from teak and it features a visible rope for hanging.